Stop the press! Or, you know, get them going! 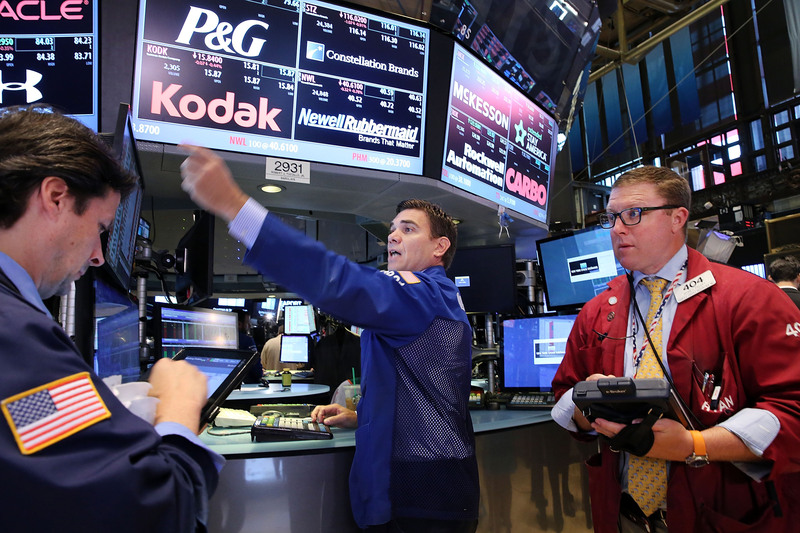 At 11:32 a.m. EST on Wednesday, the New York Stock Exchange temporarily halted all trades due to a "technical glitch". Incidentally, the shut down came hours after United Airlines grounded all flights, also due to the mysterious glitch. Oh, and the Wall Street Journal website went down around the same time, as well. Are the incidents related? Eh, who knows. The whole ordeal seemed to be under control by just after noon EST, but the meltdown won't be so easily forgotten, especially when we don't even know what caused it to begin with. While we may not know what happened just yet, there's one thing we do know: we can always count on the Internet to bring some much-needed levity to the situation. No sooner had the news broken about the NYSE than Internet commentators took to social media to share hilarious memes to lighten the mood, which was understandably tense. Some of the best memes ended up being pop culture-related, with every movie and musician under the sun being tied to the financial fiasco in really funny ways. It's hard to pick the best, so I won't. I'll share the wealth with you all and you can enjoy them equally. Fair is fair, after all. This is not a face you'd want to see on the trading floor. Or, you know, on any floor. I'm scared — someone hold me! It's only been suggested, not proven, that the NYSE was actually hacked, and if that's the case, I think the suspects are likely pretty obvious. Something tells me the suspect pool just widened yet again. You might get one over on him now, but you'll pay the price down the line if you get caught! We need help over here! This Is Not The Time For Jokes! How could something so cute and puffy cause so much trouble? It's all Rihanna's fault, right? Right.